Dusty began cooking in his early twenties, starting his career at The Stokehouse and then moving on to Comme. He found passion cooking Mediterranean food, particularly making charcuterie and enjoying traditional food preservation methods. ​At Bottega, Dusty focusses on local and seasonal produce, preferring simple preparations that really let the true nature of an ingredient shine. 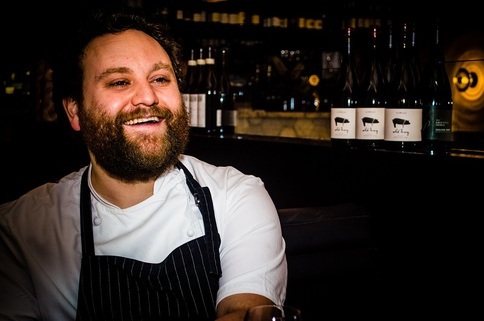 “We are so lucky in Victoria to have access to a wealth of amazing food from producers who are often as passionate as the chefs.” His cooking at Bottega is all about taking traditional Italian dishes and flavours and then presenting them in the context of modern Melbourne food culture. Bottega on Eat, Play, Stay!